Providing you the best range of adhesive mineral chain lubricant, high temperature chain oil, mineral oil based hydraulic fluids, synthetic gear oils and lubricant oil for textile machineries with effective & timely delivery. 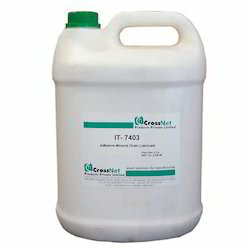 IT-7403 is high performance ambient temperature chain oil designed for lubrication of the industrial conveyors, chains and wire ropes. Being adhesive, the lubricant resists fling-off & does not get thrown off when used on high speed chains. It gives an excellent protection against corrosion & wear. 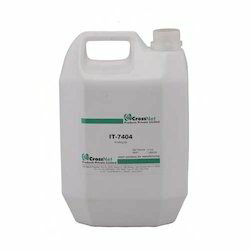 IT-7400 is stable, high performance synthetic oil designed for high temperature applications designed for use in paint booth conveyor chains, ceramic production, glass production, paper, plywood production or textile stenter chains. It can also be used as a bearing lubricant in high temperature environments. The product features very low evaporation rate for longest life, an excellent oxidation stability with no deposits and outstanding film strength, better than other synthetics. It has a wide useful temperature range with built in non-sling, non-drip characteristics. 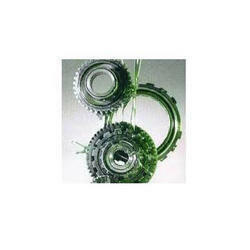 Reliability under adverse conditions of temperature, time, wear and oxidation is assured. The lubricant offers outstanding anti-wear properties with reduced chain drag. IT-5000 series hydraulic oils are premium-quality, ash-less, anti-wear, high-viscosity-index hydraulic oils. They are manufactured using high-quality base stocks which possess exceptional chemical and thermal stability. Additionally, these contain a technologically advanced additive system. 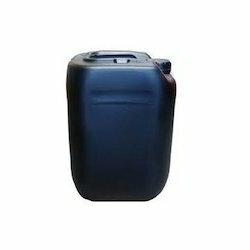 The oils exhibit superior hydrolytic stability and filterability. IT-5000 oils are recommended for use in all types of industrial, mobile, and marine hydraulic systems utilizing vane, gear, or piston (axial or radial) pumps. These multi-grade oils are particularly recommended for high-pressure, high-temperature hydraulic systems, and for systems which operate in a high-moisture environment with wide variances in temperature. Some examples are mobile construction equipment, bucket-trucks, marine and offshore equipment, and other equipment operating under low-temperature conditions. Applications where these are used include hydraulic systems, electric motors, gear cases, hatch cover machinery on-board ships, circulating systems, bearings-journal, anti-friction, machine tools or air compressors on offshore platforms and boat. IT-6000 series are fully synthetic heavy duty industrial polyalphaolefin (PAO) gear oils intended for enclosed gears operating under adverse loads and temperatures. These are high quality, extreme pressure PAO gear oils offering exceptional performance in gears and other industrial applications. These are available in a wide range of ISO viscosity grades - ISO Grades 32 to 680. The have a high viscosity index and are intended for heavy-duty extreme pressure industrial applications and used for enclosed gear units (spur, helical, bevel & worm gears) in agitator Drives, centrifuge gear boxes, extruder reducers, plain and roller bearings, circulating and splash lubricated systems or mist systems etc. The lubricant is formulated using high quality refined mineral oil which exhibits excellent stability & resists oxidation and break-down even when exposed to prolonged high temperatures. Incorporating effective anti-wear additives, the lubricant exhibits good anti-wear properties & protects needles, sinkers and cams against wear. It also protects against corrosion. The lubricant is self-emulsifiable in water and exhibits a very high level of scourability from the knitted fabrics.